Having your own eCommerce website to sell *multiple products* that generate commissions is one of the best ways to scale your income, even if you're just getting started. Even without any technical skills or a large budget, this eCom Profits SUPER PACK gives you a powerful system for building eCommerce web stores step by step. even sell it yourself and keep all the profits! eCom Profits Super Pack comes with Private Label Rights & Turnkey Sales Page, making it easy for you to start selling immediately! Easy Step-By-Step Video Walkthrough Of How To Get The Most From Your Online Store And Position Yourself For BIG Profits! Easy Step-By-Step Video Walkthrough Of Several Real World Business Models You Can Use To Get Started Quickly, Plus Where To Find Products That Sell Like Crazy! Easy Step-By-Step Video Walkthrough Of How To Build A Full-Feature eCommerce Website Without Any Coding Or Tech Skills! Top eCommerce Platforms You Can Use To Power Your Online Store And Grow Your Business! Easy Step-By-Step Video Walkthrough Of How To Create & Setup A Shopify Store And Start Selling! 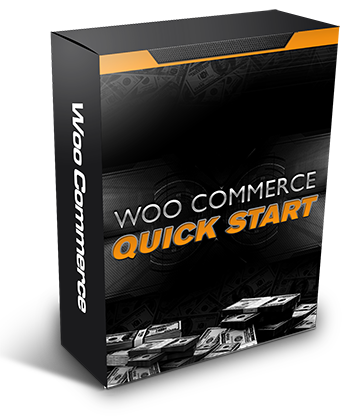 Easy Step-By-Step Video Walkthrough Of How To Create & Setup A Woo Commerce Store And Start Selling! Easy Step-By-Step Video Walkthrough Reveals Insider Tricks To Layout & Design A High Converting Web Store That Sells More Items And Generates Repeat Business! 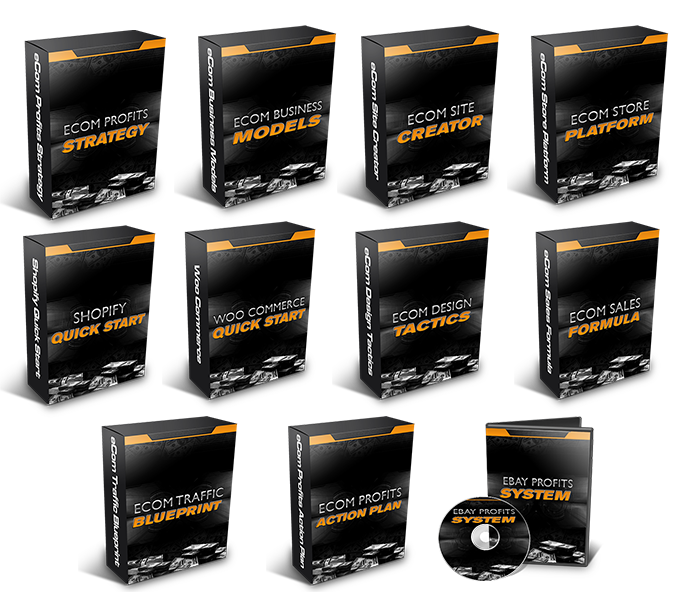 Easy Step-By-Step Video Walkthrough Reveals Key Methods That Can Double Or Even Triple Your Sales And Create A Full Time Income! Easy Step-By-Step Video Walkthrough Reveals The Proven System To Get Traffic To Your Online Store And Start Making Money Right Away! Easy Step-By-Step Video Walkthrough Reveals The Simple Steps To Create Your First eCommerce Store And Get Started On The Right Track! Complete System For Building Your Own Successful eCommerce Business With eBay! Your Own EBAY WEB STORE Step By Step! 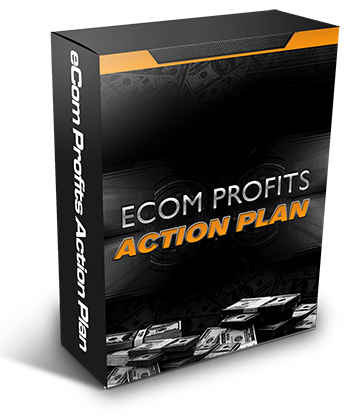 eBay Profits System allows you to kick-start your eCommerce business the right way by selling products through your own eBay Web Store, without all the usual hassles and frustrations! 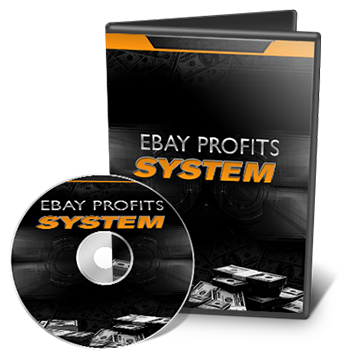 With these *must see* videos, you will discover exactly how to setup and market your eBay store from start to finish. That's right, you get private label rights + the full reseller kit with it, so you can sell eCom Profits Super Pack yourself for all the profits and keep every dime you make!